Climb on warm sandstone cliffs, in the glaciated Gap of Dunloe, just outside Killarney. 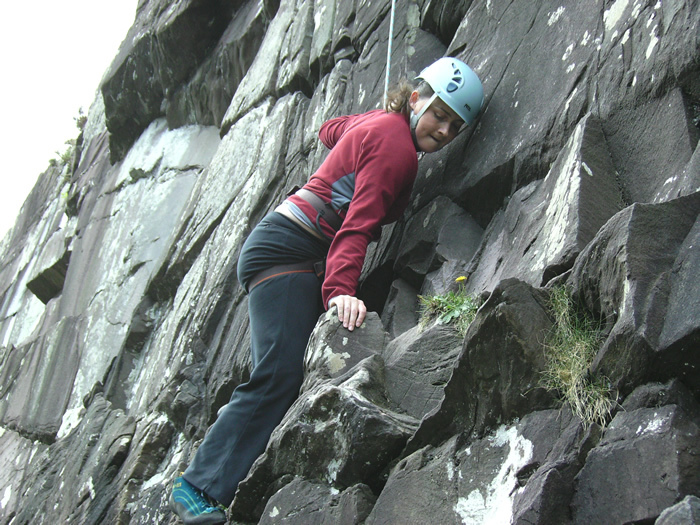 In the company of a qualified instructor, learn climbing techniques and rope work, while savouring invigorating mountain views, challenging yourself and discovering what rock climbing in Kerry is really like! For bookings and more info, please use the contact details below.